Looking for small and packable gifts this Christmas? 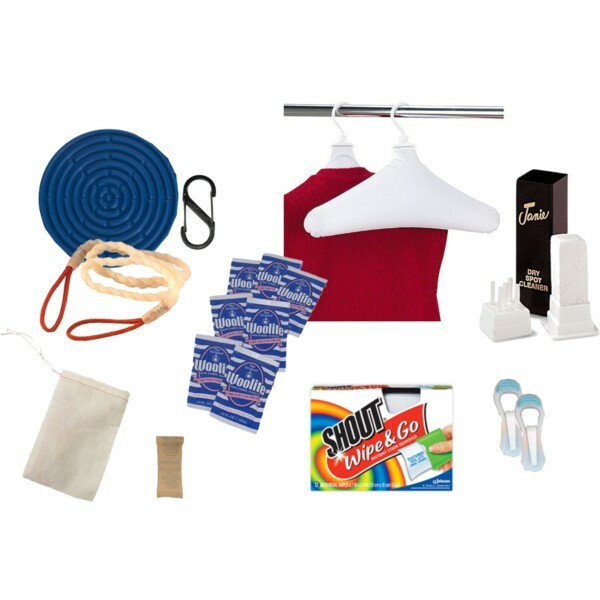 Here are some suggestions for items that are easy to take with you. If you’d like to give something larger I would suggest you look at my post “Christmas and a Carry On“. It has several ideas on shipping items for the Holidays. Sink stopper – the small silicon pot holder seals better than any rubber stopper I have used. Stretch clothes line – I like the triple strand braided flex-o-line. It holds clothes better than the dual strand twisted clothes lines. Janie solid stain remover – this clay based stick removes oil and grease stains far better than anything I know. Slip the items in to a small zippered case if desired. I like to carry my laundry kit in my toilet kit. Travel towels are incredibly expensive for their size, so this make a nice luxury gift for someone on a budget. 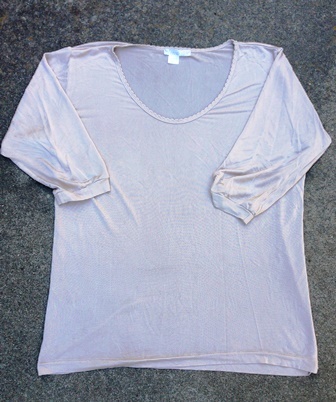 Silk long underwear is an intimate gift for someone close, because you need to know their size. It packs small and is appreciated by travelers, older people, and anyone that lives in a cold climate. 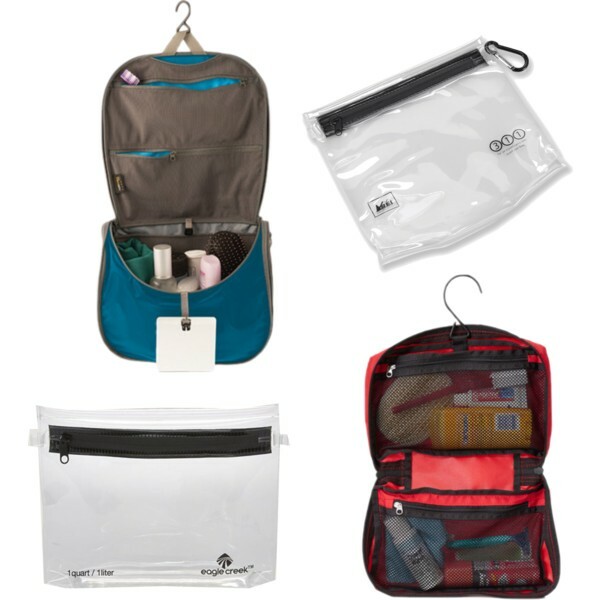 I’m featuring the small Traveling Light Hanging Toiletry kit from Sea-To-Summit and the Rick Steves hanging toiletry kit. These are some of the lightest toiletry bags around. Add in a clear liquids bag to complete the gift. The bags, while small, have plenty of room for all your gear. The clear liquids bags slip over the toilet kit hanger so you can keep your solids and liquids together. Sil-nylon is the wonder material of travel. It is strong and light weight. It is also very expensive, making it a luxury item for those on a budget. 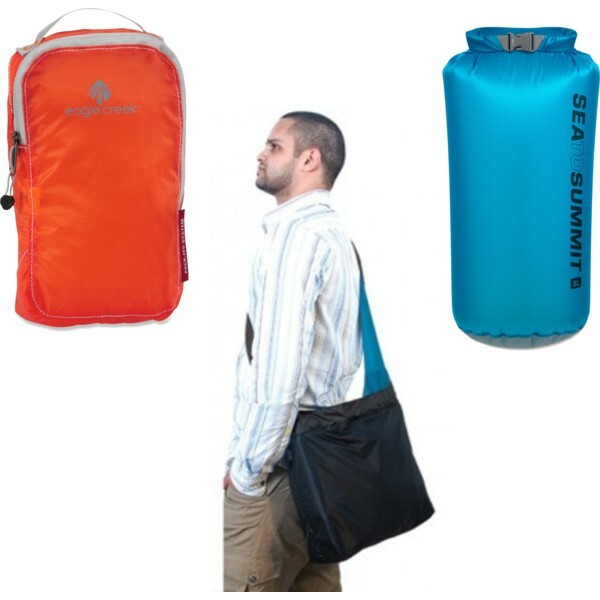 Why not treat your favorite someone to an ultra-light packable sling-bag from Sea-To-Summit (it makes a great packable personal item), a nice packing cube from Eagle Creek, or a dri-sack? Better yet, buy a quarter cube and create a comfort kit for your favorite person! 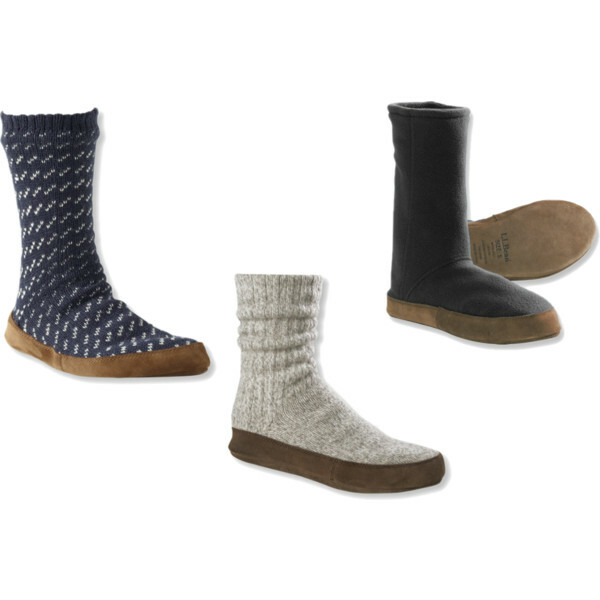 These slipper socks from LL Bean are guaranteed for life. They are also warm, comfortable, and packable! The suede soles protect your feet from disgusting airplane toilets but are also washable. Who can’t use a collapsible water bottle? These are relatively inexpensive gifts, making them a great choice for those on a budget. Got a Geek Girl in your life? 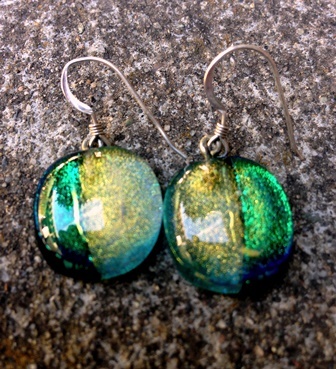 She’ll love some dichroic glass earrings. Modern dichroic glass was originally developed by NASA contractors. It was used in space suit face shields to block radiation. It is also used for video recorder lenses and other optics. Dichroic glass reflects two different colors when exposed to light. I have received many compliments on my dichroic earrings (yes, I have more than one set). Science is beautiful! I’ve received this gift in the past and was always happy with it. 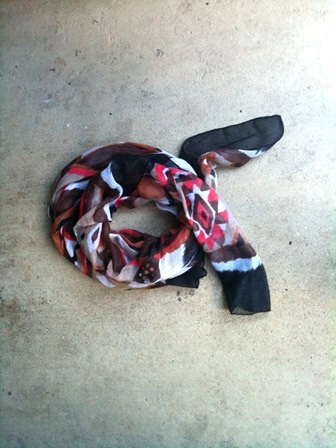 Who couldn’t use a scarf? I never had to worry if it would fit into my bag on the way home. Have you ever received olive oil soap from Provence? Mmmm. Nice. High end soap is a nice luxury item, especially for those on a budget. It makes your luggage smell nice too. 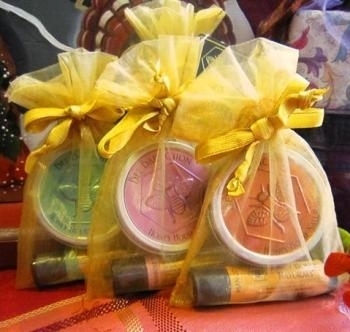 These travel sized solid hand lotions from Honey House Naturals are great for anyone that travels during the winter. They are very unique gifts and smell great! Gift cards are easy and compact, great for someone that is fussy about their gifts. I personally prefer to give a personalized gift, but sometimes money is best. This is especially true if someone is in a tight place financially. Buy a beautiful card, write your sentiments, and write a check. Peace of mind is better than any tangible gift.